AUTOCHOICE Is Yours Dot Com is proud to present to its viewers something that is so incredibly rare, you will not believe what we have found! I had to pinch myself when I first saw it. This 1921 Dodge was bought from the original owner approximately 50 years ago. He used this truck to pickup fruit from the farms around the Milton-Freewater, OR countryside and would sell along side the road to customers and also he would make deliveries to local stores. On occasion he would make trips to Sacramento, CA to deliver and pickup different varieties of fruit in that area and bring to the MF valley to market. He also made trips to Klamath Falls, OR to sell his fruit. During ownership of the current owner the truck has been used in Weddings, special holiday parades and for other special occasions. You will notice in the video the special sound of the four cylinder engine. Everything works, of course there isn't much to go wrong because there just isn't much to go wrong. You will notice in the photos the owner takes out of the tool box a couple unique items for example, the vacuum driven fan that is attached to the steering column to help keep the driver cool on those hot days. In today's world that would be referred to as the AC. The hickory wheels will note are in excellent condition and the tires are good enough to last the life of the truck. We are excited to show this to the potential owner, which by the way will be the 3rd owner in 98 years. You will also note the owners registration certificate for 1937 and the envelope that was used to mail it to the owner with a 3 cent stamp on it. You want to be part of this truck's history? Give Don a call or text at (509) 301-1498 today for an appointment. You will certainly be in awe over it and turn heads as you drive down the street. You will certainly own the rarest one and a half ton '21 Dodge truck in North America! 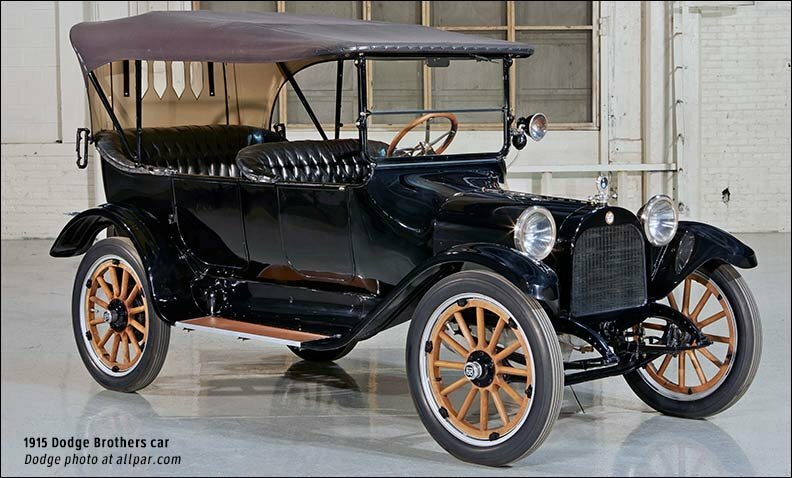 The Dodge brothers (John and Horace) got their start making parts for Oldsmobile, Ford, and others; then they struck out on their own, with the first Dodge Brothers automobile in 1914 instantly earning a strong reputation and good sales. They did not build a truck until World War I — and that was a panel van, not a pickup - with a half-ton capacity and a 35 horsepower engine. The underlying chassis was likely almost unchanged from their cars.